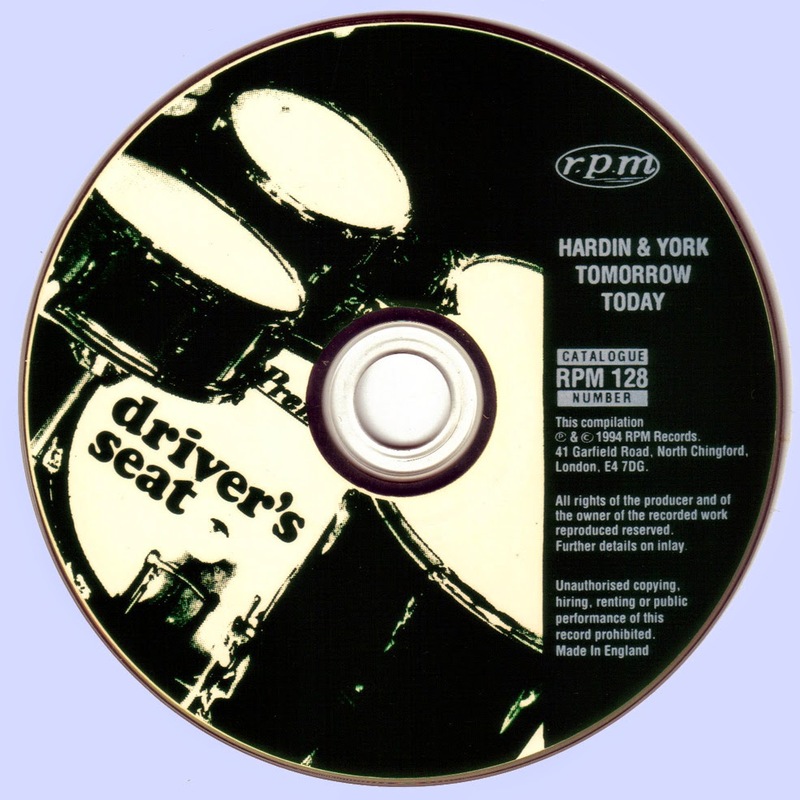 Hardin and York's career spanned arguably one of rock's most productive periods. Pop music of the early sixties had influenced a generation of bands who were keen both to push the boundaries further and experiment with the possibilities of the long playing album format. By the end of the decade, progressive rock was being championed by groups as diverse as Yes, Genesis, Led Zeppelin, The Moody Blues, ELP, Deep Purple and many more - all working hard to establish themselves with defining albums. This rush of energy lasted through into the early seventies before faltering as bands burnt themselves out and musical fashions changed. When keyboardist Eddie Hardin (born 19th February 1949, South London) was recommended in 1967 by family friend and Manfred Mann vocalist Paul Jones for the vacant position in the then internationally popular Spencer Davis Group he could scarcely have believed that his introduction to the world of professional music would have led to a career that is now well over a quarter of a century old. On joining the band in April 1967, he teamed up with Davis, guitarist Phil Sawyer and drummer Pete York (born 15th August 1942, Middlesborough) they took off on an American tour followed by a cameo appereance in the film "Here We Go Round The Mulberry Bush". 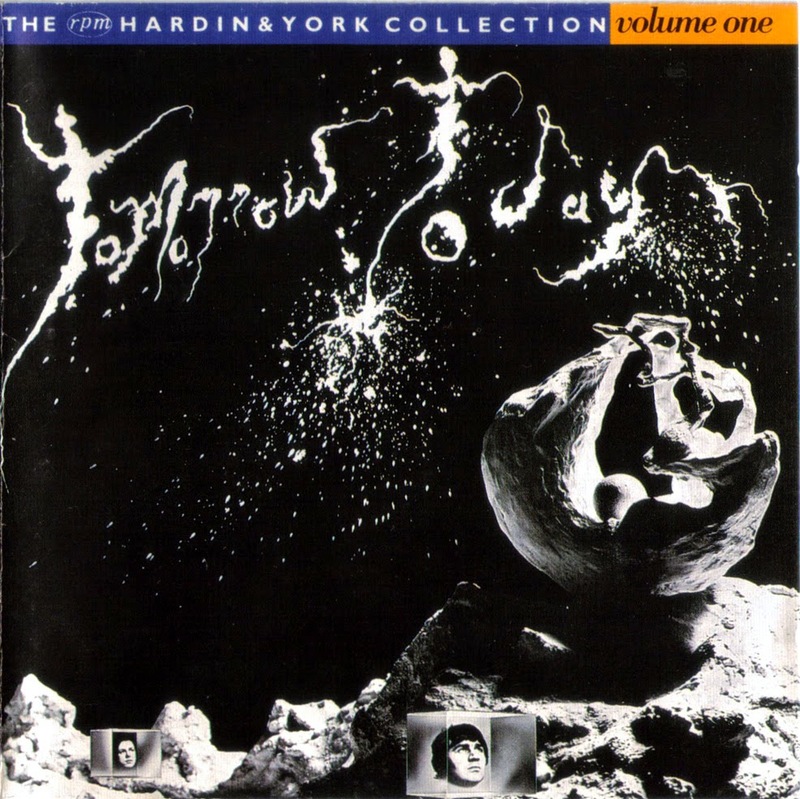 They also scored two UK hits, "Time Seller" (No.30) and "Mr. Second Class" (No.35), before, in the summer of '68, both Hardin and York left to begin work as a duo - 'The smallest big band in the world' as they were initially dubbed by the music press. Securing a record deal with Bell Records, the duo released an album (SBLL 125) and single (BLL 1064) both called "Tomorrow Today" in mid '69 and found themselves in considerable demand on the European live circuit, gigging with the likes of Deep Purple, The Nice and Keef Hartley. One concert in a youth hostel in Hamburg-Blankenese was recorded without the pair's knowledge and released as a bootleg disc which the duo only found out about when fans used to bring it to gigs for them to sign. Eddie Hardin eventually tracked down a copy of this excellent quality recording and set about "bootlegging the bootleggers"! The 1970 LP "Smallest Big Band In The World" (SBLL 136) was followed by 1971's "For The World" (Decca SKL 5095) before the pair went their separate ways by releasing solo LP's - Hardin with "Home Is Where You Find It" (TXS 106) and York with "Pete York Percussion Band" (TXS 109), both on Decca Records.